Like It Like That Sebastian's 5th studio album was released on 23 October 2009. There are presently two singles released which are #1 ranked Like It Like That 2 x platinum and #8 ranked Art of Love (feat. Jordin Sparks) Gold. Penning all tracks on this album, Sebastian's songwriting skills are as strong as his rich soulful voice which are influenced by the genres of soul, rhythm and blues and pop. John Mayer plays on and provides backing vocals on three tracks with a guitar solo on the track Fail To Mention. 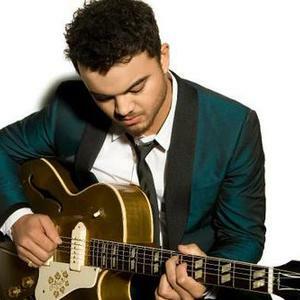 Guy Sebastian was born in Klang, Malaysia to a Sri Lankan and Portugese father from Malaysia, and a mother of Portuguese and Irish/Scot descent who had been born and raised in India. He moved to Adelaide, South Australia as a child. Sebastian has never had any formal voice training but was influenced by artists such as Stevie Wonder, Prince, Brian McKnight, Otis Redding and Al Green. After giving up University studies in medical radiation to concentrate on music, and while working as a recording engineer and a singing teacher, he decided to enter Australian Idol establishing a fanbase and winning praise from the judges, who also made reference to his afro hairstyle, which became a focal part of his image at that time. The Grande final of Australian Idol which was held in Sydney, Australia was the most popular program broadcast in Australia during 2003 and the second most popular non-sporting broadcast in Australian television history. During the competition is became clear that Sebastian was as an accomplished musician (drums, keyboard, guitar and even a little violin), who created his own arrangements for his songs and that, together with his unique soulful voice and innate rhythm, drew many fans.